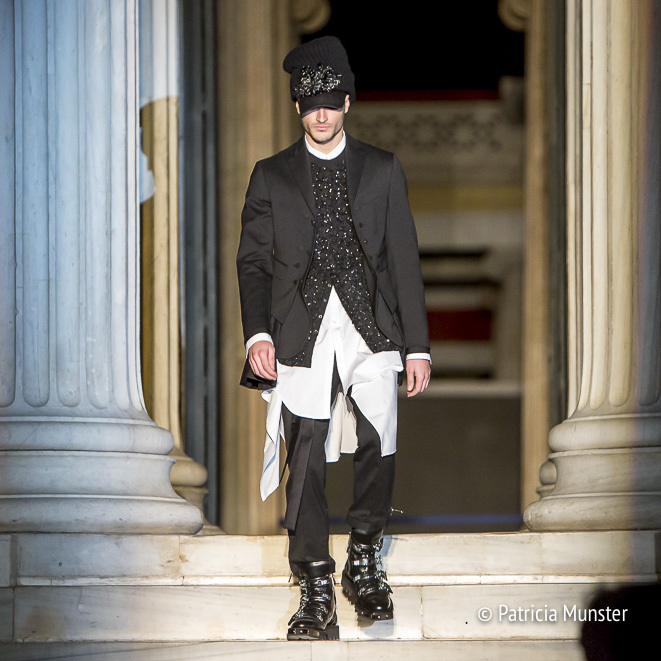 DSQUARED2 opened the 21st edition of Athens Xclusive Designers Week. 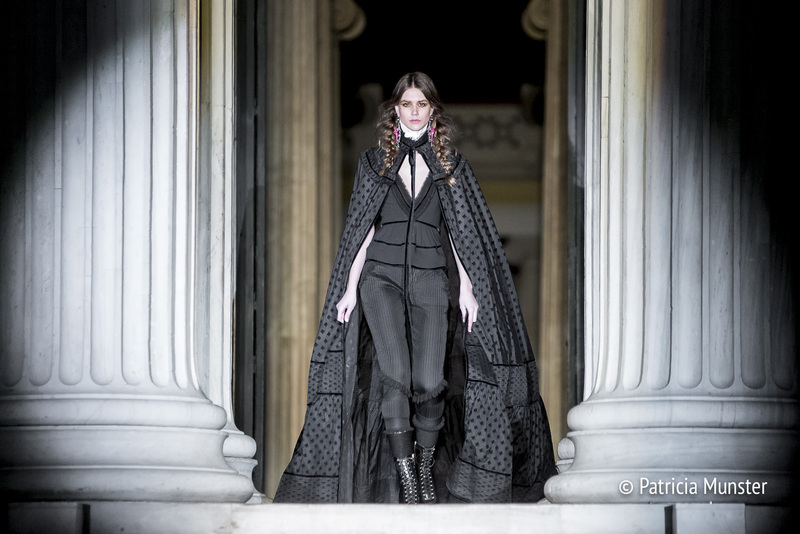 At the steps of the historical building Zappeion Dan and Dean Caten presented a sneak preview of the fall-winter 2017-2018 collection of DSQUARED2. Dan and Dean Caten, the creative directors behind DSQUARED2, showed 6 pieces of DSquared collection "GLUNGE". The result of Glamour meeting grunge. 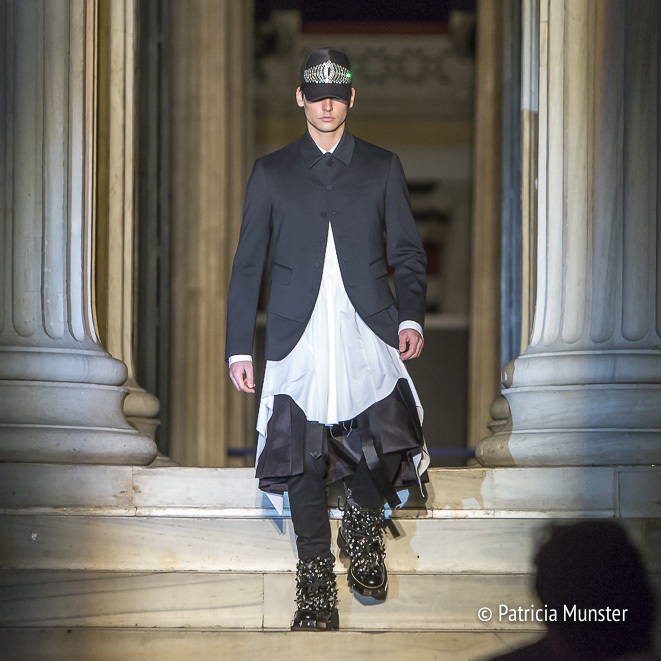 For the debut men's and women's look were designed coequal. Opulent, feminine and rugged details appeared in lookalike pieces. She wears bouquets of flowers on her dresses, he wears them printed on his skirts and jackets; his long knit over a shirt which is also her look. For our first co-ed collection guys and women are style equals, glamorous mountaineers. The capsule collection was voluminous and reversible, with DSquared2 attitude courtesy of a magnified logo and zips, and textured, high shine fabrics including an encrusting of crystals. For more photos visit Patricia Reports! DSQUARED2 was founded in 1992 in Italy and in 1995 the designers presented their first men's collection. 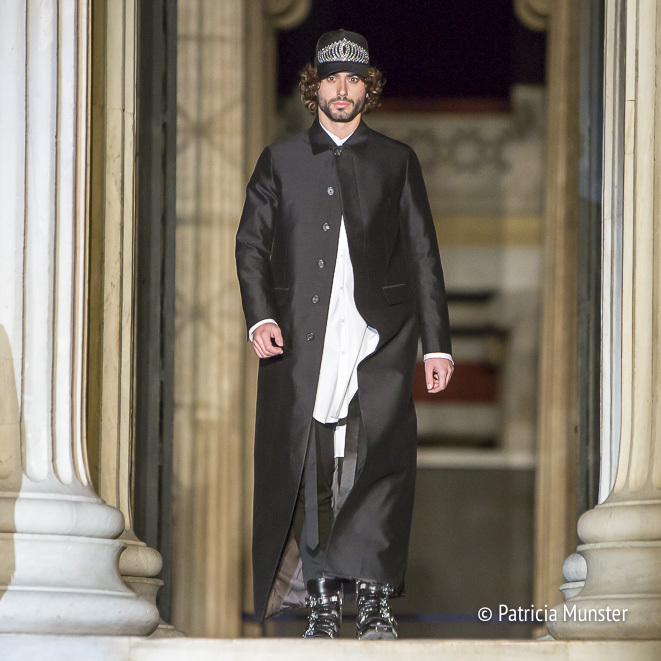 The presentation marked the debut of DSQUARED2's runway show extravaganzas, which captured the attention of journalists and buyers from around the world. DSQUARED2's philosophy is an edgy mix of Canadian iconography, refined Italian tailoring and playful sensuality. The collections are a seamless melding of contrasts: sporty and glamorous, laidback and extravagant, masculine and feminine, creating a distinctive concept of alternative luxury. Recently the DSQUARED2 collections have gained a sophisticated edge while maintaining the sexiness embedded in the brand's DNA. Dean and Dan Caten divide their lives between Milan and London, and the Dsquared2 collections are produced in Italy, giving rise to the brand's motto of "Born in Canada, Living in London, Made in Italy".